This investment property is situated in the heart of downtown Ken adjacent to Valley Bank and Starbucks and lies within walking minutes of the City of Kent offices. Police Station, Regional Justice Center, ShowWare Center and Kent Station and their massive workforce and visitors. Great long term investment property with near-term upside rent potential. Downtown Tacoma Office / Retail Space For Lease - $1,942.50/mo. Well located office or retail space situated in the vibrant downtown Tacoma entertainment district, neighboring Meconi's, Thai Pepper, Matador and others. Space features soaring ceiling, large light capturing windows and a cozy courtyard at the back of the premises. Excellent highway access via 705 spur. Available August 1, 2019. Two Parcels available combined almost 1 acre off Pacific Highway. Currently 2 residential structures. One with month to month tenant. Adjacent property may be assembled. 819 Pacific Avenue, Tacoma for Lease - $4,275/mo. Situated in the heart of downtown Tacoma CBD , near Matador, The Forum and The Office. Bright airy space with soaring ceilings and an abundance of natural light. Excellent highway access. Space is 3,000 square feet with a 1,750 square foot mezzanine. Divisible to 3,000 square feet. 8,400 square foot on a corner lot. The main level is a small grocery store (5,628 square feet) and attached garage space (864 square feet). The upstairs consists of 1,730 square foot 2 bedroom 1 bath apartment. The current cap rate is 6.3%. 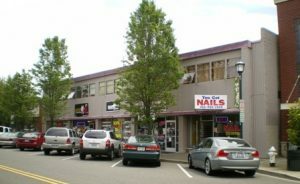 Meeker Retail Space (Kent) For Lease $1,800/mo. The property is located in the heart of downtown Kent adjacent to Valley Bank and Starbucks. Situated within close proximity to Kent Station, City of Kent offices and the Regional Justice Center. Lease is Modified Gross and space is approximately 1,500 square feet. 6th Avenue Retail Space (Tacoma) For Lease $1,000/mo. 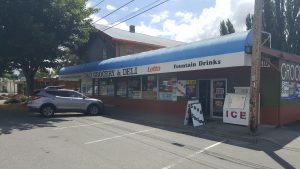 High visibility location situated near 6th Ave & Stevens with 10 onsite parking spaces and additional parking in back. Excellent signage points on building and pylon sign. Modified Gross lease / landlord pays taxes and insurance. 578 sf. Artist / Design / Office Space (Seattle) For Lease $525/mo. Centrally located Artist / Design / Office space with abundant natural light and fantastic access to I-5 and I-90. Free parking. 300 sf. available. Gross rents include all costs of occupancy including utilities and wifi. $525/mo. Located at 1128 Poplar Pl. S.
This commercially zoned, developable parcel offers easy I-5 freeway access. Great opportunity for a cleared unobstructed building lot in very desirable part of Tacoma. The location would be ideal for multifamily use. Amazing view of Mt. Rainer. Owner originally planned and permitted for 80 units. Could have gone to 120 units with parking below. Neighboring properties are not listed but may be available as well. Well located fully equipped restaurant property with living quarters situated in charming La Connor waterfront community. The property is positioned in the heart of the waterfront retail district 1/2 block from the main intersection. This well maintained building features a fully equipped kitchen facility with class-one hood vent system, walk-in cooler and deck seating with views of the water. The living quarters features 2 bedrooms, laundry room, full bathroom, and kitchen area opening to a large living area with huge, light capturing windows which open to the deck and views of the Olympic Mountains and water. Highly visible, high traffic 4 unit retail strip center situated on desirable 6th Ave. Strong mix of business and residential traffic. Observable signage points on building coupled with pylon sign at street. Modified gross leases. Each unit has its own, separately metered HVAC. Well maintained property with no deferred maintenance. Great opportunity to own prime Tacoma mixed use property in an extremely desire area surrounded by new construction. This would be a great opportunity for a developer. Buildings add up to approximately 36,000 sf +/-. This commercially zoned, developable parcel offers exquisite I-5 freeway access. Easy ingress/egress off exit 143 in Federal Way, signalized corner. This location would be ideal for any CO zoned use. 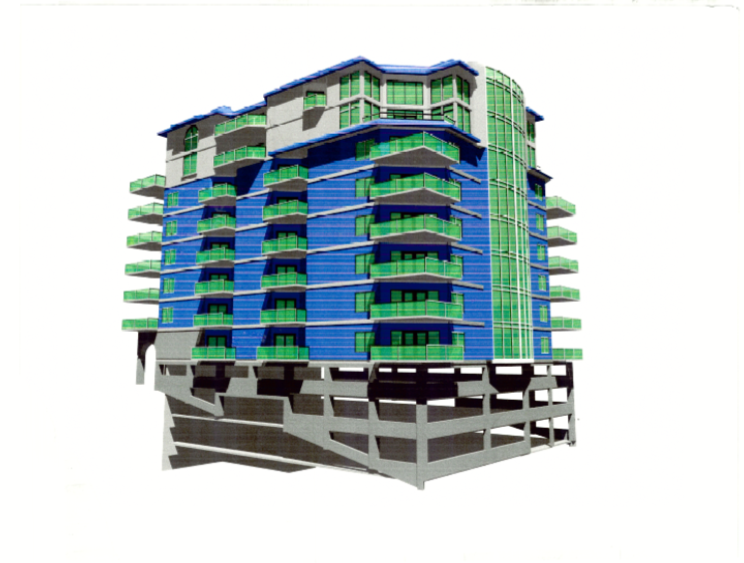 Survey and traffic mitigation complete as well as architectural design for a hotel. Free Standing 10,122 square foot building on 1,63 acres that is I-502 compatible.